This post brought to you by adidas miCoach. The content and opinions expressed below are that of Inside Futbol. Technology, whilst enriching our lives, has a way of making the average person want to kick it as hard and far away as possible. Well, now you can – with the adidas miCoach SMART BALL. It's a football with an in-built electronic system – an innovative new product which will completely change the way you think about your football practice. 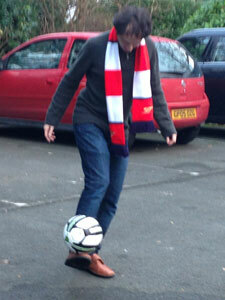 With this ball, there is no such thing as ‘a kickabout’. 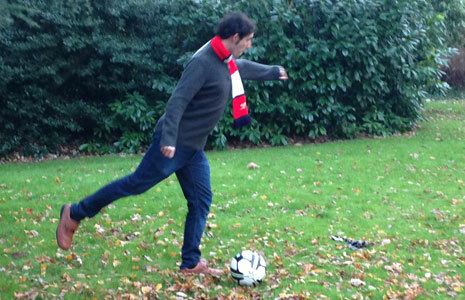 This is a ball that, in conjunction with the adidas miCoach SMART BALL app, enables you to analyze and measure your technique scientifically in the garden, down the park or in the street. 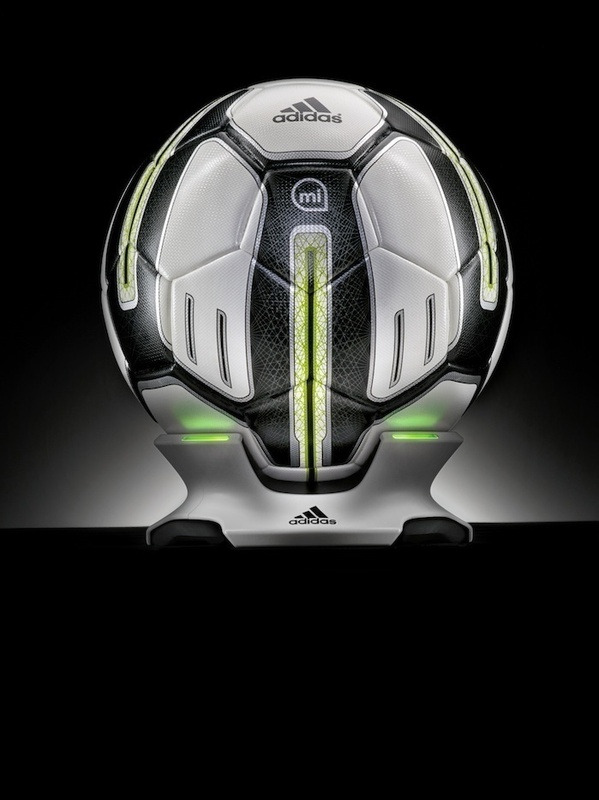 The adidas miCoach SMART BALL comes with a charging station. Once charged, you pair the ball with your phone via the iPhone app, and then update the software inside the ball (yes, really!). Then find yourself a friend to play with, or even just a wall that’s more than ten yards away, and it’s really as simple as tapping a button, waiting a few seconds and then kicking. The app takes a few more seconds to download the information relating to each kick of the ball, and then you are armed with a wealth of data. Learn more about the adidas miCoach SMART BALL. The information gives you an insight that you simply can’t get from your own intuition. As well as showing you the point of the ball you struck, it gives you data on how powerful each shot is, and also on the spin you have put on the ball – revolutions per minute. For me this was a particularly intriguing aspect of the app. After heading down to the park with wife and child, I took a few kicks, looked through the data, and invited my other half to have a go. Her football experience is limited to an understanding that Robin van Persie is usually injured and that Nicklas Bendtner isn’t the best player in the world. But apparently she can put more spin on the ball than me – which was a blow to the pride but also the kind of insight that can really help you focus on the weaknesses in your technique and fine-tune your striking of the ball. And it shows how the technology within this ball can turn a mundane session of kicking a ball against a wall or between friends into a competitive and challenging test. You can even set up a penalty shootout style competition with a friend to see who can hit the fastest shots – for more features check out the adidas miCoach SMART BALL on adidas.com. There are other aspects of the app which highlight its hidden depths. You can take a video of your own kicks to watch back and review, and go through tutorials on different types of shot, most notably the ‘knuckle ball’. This is the technique popularized by Juninho Pernambucano, the Brazilian free-kick expert, as well as more notably in recent times Cristiano Ronaldo and Gareth Bale, where the ball is struck powerfully at the valve, causing it to dip unexpectedly and swerve unpredictably with minimal spin. The app can also measure the trajectory of the ball, and you can take on the challenge stored within to see if you can match the kick of a professional player. Overall this is a ball for a serious player focused on honing and perfecting their technique. Rather than drifting into auto pilot as you kick the ball about, it focuses your mind and energy on improving each and every kick you make. Whether you want to have the precision of a David Beckham, the power of Lukas Podolski or learn to strike a knuckle ball like Ronaldo, the adidas miCoach SMART BALL will help you be whoever you want to become. Buy the adidas miCoach SMART BALL at Best Buy.